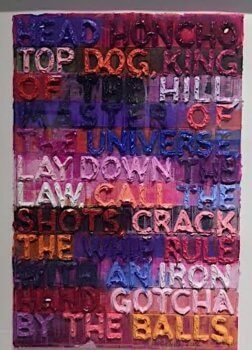 Mel Bochner is an American painter, printmaker, linguist and pioneer of the Conceptual Art movement. 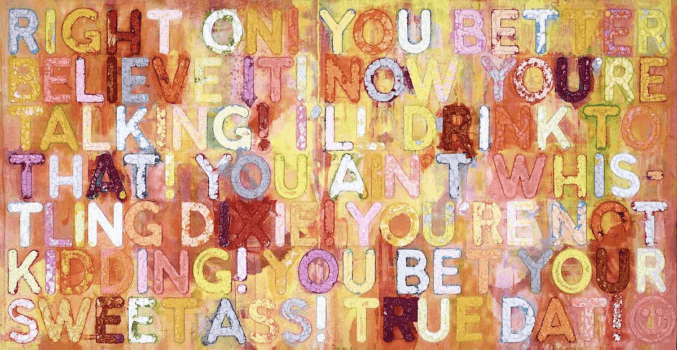 Mel Bochner was born into a traditional Jewish home, in Pittsburgh, in 1940. His father was a sign painter, for whom he apprenticed, and which led to Bochner’s interest in incorporating words in his art. After graduating with a BFA from Carnegie Mellon University in 1962, Bochner went through what he calls his beatnik period, a time when he questioned his decision to become an artist. He went to San Francisco, traveled around Mexico and wound up staying with a friend in Chicago. He audited classes at Northwestern University and became interested in linguistic philosophy. 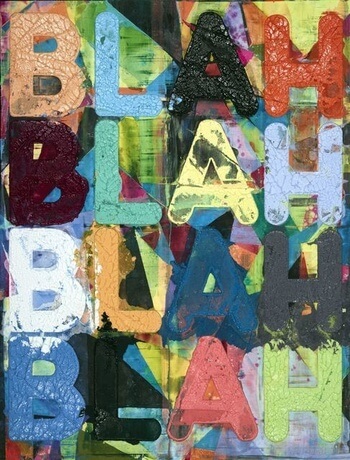 Bochner began spending more time at the Art Institute of Chicago than in class and found the motivation to resume painting. Bochner went to New York in 1964 and got a job as a security guard at the Jewish Museum. (It just so happened that Minimalist artist Brice Marden had quit the job the day before). Bochner painted at night, in his twenty-dollar-a month apartment on First Avenue and worked during the day. After a year of working at the museum, he was found napping and was fired, which freed him up to take a job, teaching art history, at the School of Visual Arts. His first exhibit at the school was the seminal 1966 show called, Working Drawings And Other Visible Things On Paper Not Necessarily Meant To Be Viewed As Art. Bochner’s initial idea was to ask his artist friends to loan him their working drawings for the exhibit, but there was no money to frame each piece, so Bochner compiled notebook pages of print material and working drawings by Donald Judd, Carl Andre, Jo Baer, John Cage, Tom Clancy, Dan Flavin, Milton Glaser, Dan Graham, Eva Hesse, Alfred Jensen, Michael Kirby, Sol LeWitt, Robert Mangold, Robert Moskovitz, Robert Smithson, and others into a xeroxed volume which was then presented in four identical copies, each on their own pedestal. The exhibit turned out to be the beginning of the Conceptual Art movement in the U.S. 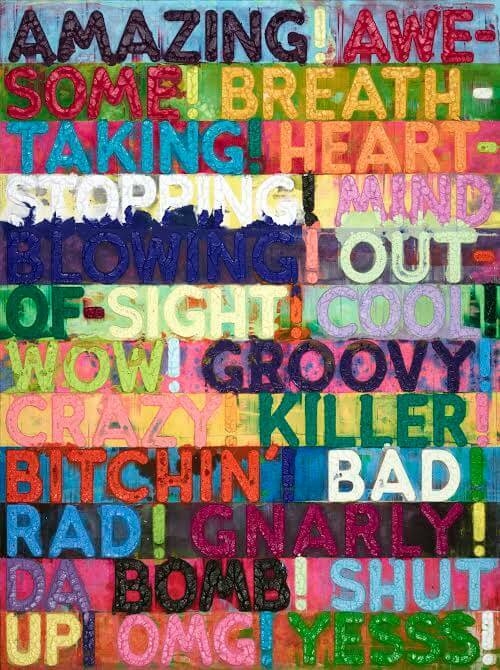 In the 1970s, Bochner returned to painting and his work has evolved into a combination of words and color. He not only paints each letter by hand in most paintings, but also uses an etching technique and press to create some of his industrial-looking work. In the past few years, Bochner has had major exhibits at the Whitechapel Gallery in London, Haus der Kunst in Munich and the Museu de Arte Contemporânea de Serralves in Portugal and the Jewish Museum. His works are included in the permanent collections of major museums and galleries throughout the world.